1. Philosophy of Neurological Surgery. AANS Publications Committee. Ed. I. Awad. Park Ridge, IL, USA: American Association of Neurological Surgeons, 1995. 249 p.
2. Хрусталев Ю.М., Царегородцев Г.И. Философия науки и медицины. М.: ГЭОТАР-Медиа, 2007. 505 с. [Khrustalyov Yu.M., Tsaregorodtsev G.I. Philosophy of science and medicine. Moscow: GEOTAR-Media, 2007. 505 p. (In Russ.)]. 3. Балалыкин Д.А., Щеглов А.П., Шок Н.П. Единство философской теории и медицинской практики во взглядах Галена. Философия науки 2014;1(60):70–85. [Balalykin D.A., Shcheglov A.P., Shok N.P. The unity of philosophical theory and medical practice in the views of Galen. Filosophiya nauki = Philosophy of Science 2014;1(60):70–85. (In Russ.)]. 4. Хайдеггер М. Что зовется мышлением? Пер. с нем. М.: Академический проспект, 2010. 351 с. [Heidegger M. What is called thinking? Trans. from German. Moscow: Academicheskiy prospekt, 2010. 351 p. (In Russ.)]. 5. Давыдовский И.В. Приспособительные процессы в патологии (медико- биологический аспект проблемы). Вестник АМН СССР 1962;(4):27–38. [Davydovskiy I.V. Adaptive processes in pathology (medico-biological aspect of the problem). Vestnik AMN SSSR = Bulletin of the Academy of Medical Sciences of the USSR 1962;(4):27–38. (In Russ.)]. 6. Бурденко Н.Н. Обзор и пути дальнейшего развития нейрохирургической работы Центрального нейрохирургического института и 1-й хирургической клиники I ММИ. В сб. : Первая сессия нейрохирургического совета, 3–7 мая 1935 г. М.; Л.: Биомедгиз, 1937. С. 7–14. [Burdenko N.N. Review and further development of neurosurgery performance of the Central Neurosurgery Institute and the 1st Surgical Clinic of the 1st Moscow Medical Institute. In: The First Session of the Neurosurgical Council, 3–7 May 1935. Moscow; Leningrad: Biomedgiz, 1937. Рр. 7–14. (In Russ.)]. 7. Блинков С.М., Глезер И.И. Мозг человека в цифрах и таблицах. Л.: Медицина, 1964. 471 с. [Blinkov S.M., Glezer I.I. The human brain in figures and tables. Leningrad: Meditsina, 1964. 471 p. (In Russ.)]. 8. 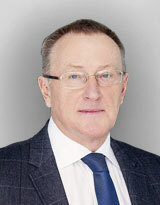 Блинков С.М. Количественное определение морфологических структур центральной нервной системы. М., 1972. 140 с. [Blinkov S.M. Quantitative determination of morphological structures of the central nervous system. Moscow, 1972. 140 p. (In Russ.)]. 9. Serbinenko F. Ballon-catheterization and occlusion of major cerebral vessels. J Neurosurgery 1974;41(2):125–46. 10. Long D.M. The Founding Philosophy of Neurosurgery. In: Philosophy of Neurological Neurosurgery. I. Ed. I. Awad. Park Ridye, IL, USA: AANS, 1995. Pp. 1–11. 11. Long D.M., Apuzzo M.L.J. Sine Qua Non: The Formulation of a Theory of Neurosurgery. Neurosurgery 2001;49(3):567–74. 12. Farahvar A., Gerber L., Chiu Y.L. et al. Increased mortality in patients with severe traumatic brain injury treated without intracranial pressure monitoring. J Neurosurg 2012;117:729–34. 13. Chesnut R., Temkin N., Carney N. et al. A Trial of Intracranial-Pressure Monitoring in Traumatic Brain Injury. N Engl J Med 2012;367(26):2471–9. 14. Крылов В.В., Петриков С.С., Солодов А.А. Принципы мониторинга внутричерепного давления. Анналы клинической и экспериментальной неврологии 2014;8(1):44–8. [Krylov V.V., Petrikov S.S., Solodov A.A. Principles of the intracranial pressure monitoring. Annaly klinicheskoy i expiremental’noy nevrologii = Annals of Clinical and Experimental Neurology 2014;8(1):44–8. (In Russ.)]. 15. Ahmadi S.A., Meier U., Lemcke J. Detailed long-term outcome analysis after decompressive craniectomy for severe traumatic brain injury. Brain Inj 2010;24:1539–49. 16. Aarabi B., Hesdorffer D.C., Simard I.M. et al. Comparative study of decompressive craniectomy after mass lesion evacuation in severe head injury. Neurosurgery 2009:64:927–39 [discussion: 939–940]. 17. Meier U., Grawe A., Konig A. The importance of major extracranial injuries by the decompressive craniectomy in severe head injuries. Acta Neurochir Suppl 2005:95:55–7. 18. Sener S., Roozenbeek B., Maas A. Surgical Management of Traumatic Brain Injury – Evidence, Controversies and Perspectives for the Future. Eur Neurol Rev 2011;6:196–201. 19. Cooper D.J., Rosenfeld J.V., Murray L. et al. Decompressive craniectomy in diffuse traumatic brain injury. N Engl J Med 2011;364:1493–502. 20. Seung P.B., Son Y.J., Yang H.J. et al. Analysis of complications following decompressive craniectomy for traumatic brain injury. J Korean Neurosurg Soc 2010;48:244–50. 21. Hutchinson P.J., Kolias A.G., Timofeev I.S. et al. Trial of Decompressive Craniectomy for Traumatic Intracranial Hypertension. N Engl J Med 2016;375(12):1119–30. 22. Li A., Azad T.D., Veeravagu A. et al. Cranioplasty complications and cost: A national population-level analysis using the Marketscan longitudinal database. World Neurosurg 2017;102:209–20. 23. Likhterman L., Long D., Lichterman B. Clinical philosophy of neurosurgery. Athena, Modena, Italy, 2017. 239 p.
24. Потапов А.А., Лихтерман Л.Б., Кравчук А.Д. Хронические субдуральные гематомы, М., 1997. 231 с. [Potapov A.A., Likhterman L.B., Kravchuk A.D. Chronic subdural hematomas. Moscow, 1997. 231 p. (In Russ.)]. 25. Kravchuk A.D., Potapov A.A., Likhterman L.B. et al. Ematomi softodurali cronici. In: Sequele dei trauma cranio-encefalici. Athena, Modena, Italia, 2016. P. 115–170. 26. Mathews J.D., Forsythe A.V., Brady Z. et al. Cancer risk in 680000 people exposed to computed tomography scans in childhood or adolescence: data linkage study of 11 million Australians. BMJ 2013;346:f2360. DOI: 10.1136/bmj.f2360.